The small vessel operators course is a Transport Canada Approved 26 hour course (over 4 days) for operators of at least 18 years of age and those in charge aboard small commercial, dozer boats, non pleasure, passenger, workboats and fishing vessels up to 15GT. MED A3 is also required and is taken as the first entry course. SVOP Advanced Course in boat Handling, Electronic and Radar Navigation We have a portable classroom to provided the Navigation in your classroom, an added savings on fuel maintenance and wages. Call to setup this added training to suite your operational needs. 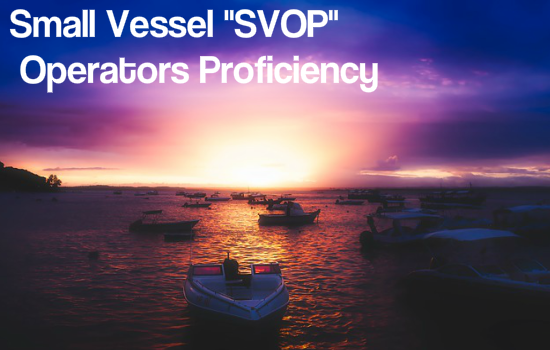 SVOP is a Transport Canada Approved course If you require the SVOP Small Vessel Operators, you will also need a MED A3 certification at a minimum. VHF radio is another course you may require if you are running a vessel, required by law.. These are very popular courses so booking early guarantees you a seat in class. Don’t be disappointed by waiting until the last minute to book your course.